By utilizing current technology, our doctors can ensure that each patient achieves optimal treatment results. Contact our downtown Edmonton dental office at 780-424-6272 today to schedule your appointment! Our Digital x-ray system allows instantaneous viewing and reduces your radiation exposure by up to 90%. This ensures your safety and comfort while still providing an accurate diagnosis. 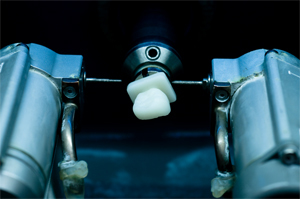 Using a computer to design and fabricate a custom made crown or filling. It is beautiful, long lasting and affordable. 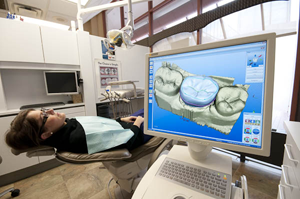 Canada Place Dental has over eighteen years experience with Cerec in Edmonton.